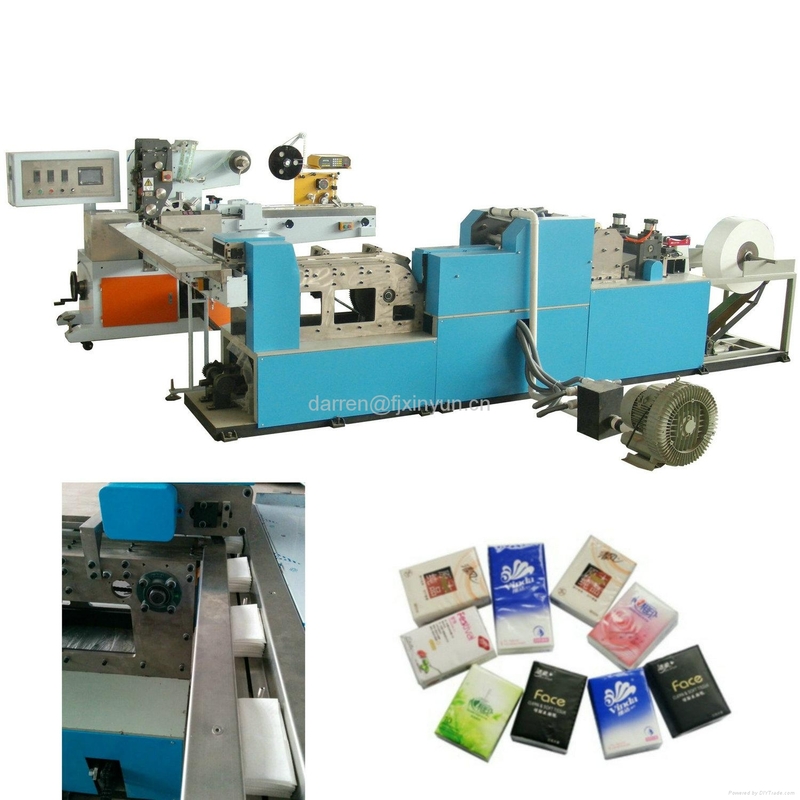 XY-NGU-21 Mini type facial tissue machine adopts vacuum adsorb and high-speed to fold the paper. Adopting step-less adjusting speed, and it is running smoothly. 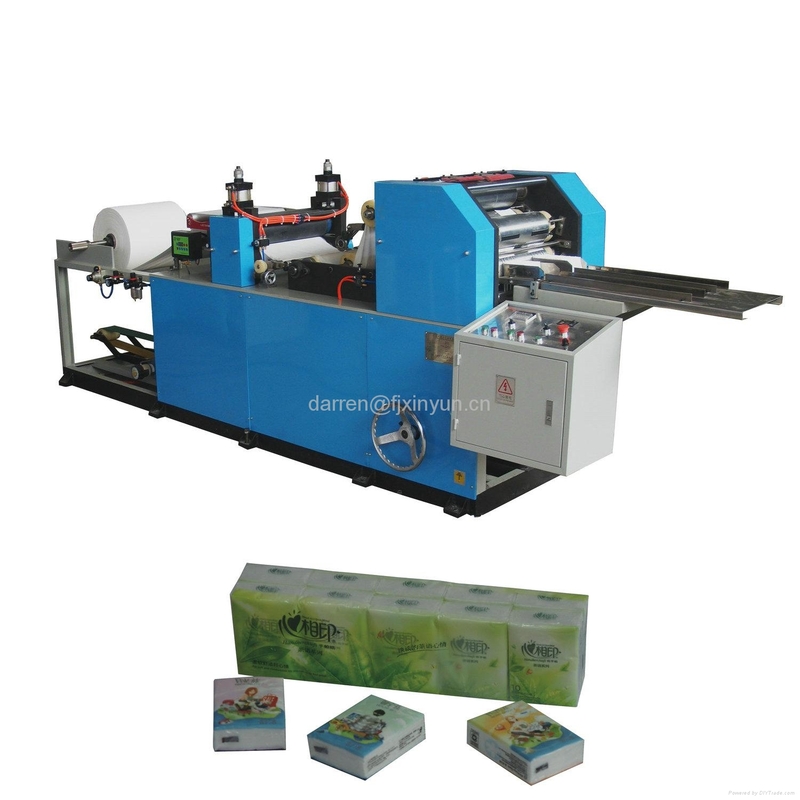 It is special equipment for 4 folding facial tissue machine. 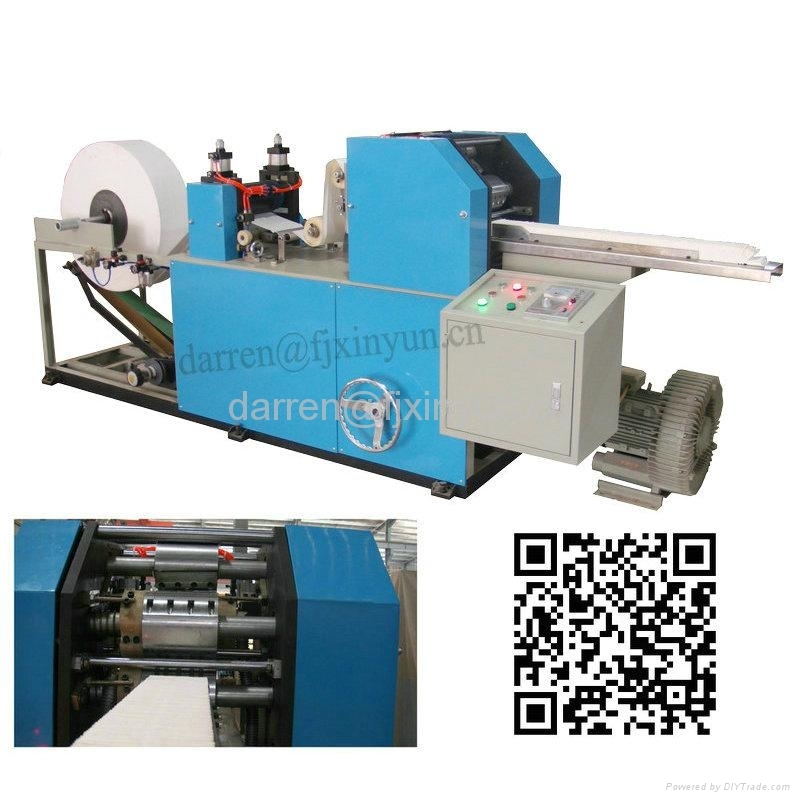 This machine composed of raw paper stand, embossing unit, lengthways folding unit , cutting and transversal folding unit, It runs a whole set of rolling to fix difference tension of raw paper, embossed, length ways folding, pushing the paper, cutting the paper, transversal folding paper and finished products transfer. 1. This model is designed to produce mini-sized paper handkerchief. 2. Embossing design on raw paper with clear embossing shape. 3. Controlled with rolling tension to fit production with different tension of raw paper. 6. Equipped with single color or double color printing according to customers’ requirement. How much is this machine? 2. Do you need packing machine or not? 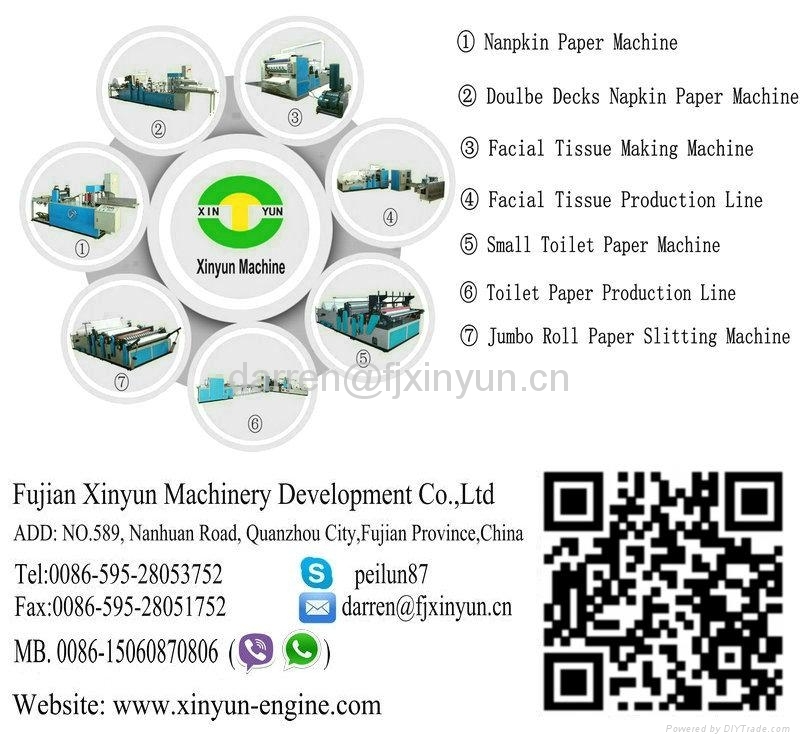 Why buy Machine from Fujian Xinyun Machinery Development Co.,Ltd ? 1. Good quality of machine with reasonable price. For all the machines we sell, we will offer two-years guarantee for free and all life maintenance. We deliver a DVD of Operation Video with machine,it will help customer to work the machine easy. After the machines arrive, the sellers shall send technician to install the production line(if need). And the buyer shall pay their round-trip air tickets from China factory to buyer’s factory, the charge of visa, food ,transportations and accommodation in buyer’s city. 8) Another Household Paper Equipments and Production Line. If you need more information about these machine,please feel free to contact me! Welcome to contact us to get more details ! We can design the machine according to your request.